In this “top 5 sub-ohm tanks built for cloud chasing” list, we will be looking at tanks that produce epic clouds, amazing flavor, and have been adopted by the cloud chasing community. With the advancement of coil building technology, tanks have gotten larger and all but pushed the RDA’s out of the door, to the point where some cloud chasing competitions now feature tank only classes. If you are looking to find the biggest plume with the best flavor and at the best prices, take a look at our favorite 5. Note: The tanks presented here today are listed in no particular order and only reflect the opinion of the author. The TFV4 from Smok has been a fan favorite for almost half a year. When it first broke into the scene, it gave users unparalleled choices when it came to the options and quality of coil. Initially offering quad (40-140 watts) or patented triple head (30-130 watts) coils in the base, this system goes above and beyond, even before you look at the build deck that is included. At 24.5mm in diameter, the stainless steel and Pyrex glass construction feels solid. 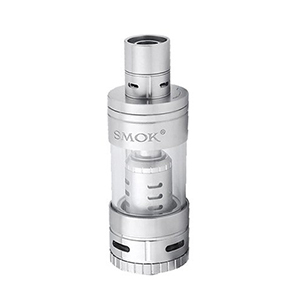 The design features in the tank include 4 massive adjustable airflow channels to give optimum cloud chasing power, as well as additional airflow in the double layered barrel drip tip system. Whether using the stock coils or building your own, the TFV4 can handle pretty much anything you want to run on it, and my personal favorite part is the top filling hinge and lock system. You forgot the Zpal Coral tank. Please tell me which tank is the BEST to use on rx75 for very huge clouds? I’m confused as someone said that Aspire Cleito is good, but here I see this Tfv4. This list needs to be updated. You may want to check into the Aspire Cleito 120W, I’ve heard good things about it. When I go to update this post, I would definitely include the Aspire Cleito 120W and the iJoy Limitless XL.